When all other collection efforts have failed and it is determined that the borrower will not repay his debt voluntarily, the only course left is to institute proceedings against the security real estate to satisfy the debt. The procedure is called foreclosure. A process in chancery (principles and practices of judicial equity) is begun in which all further rights of the mortgagor or trustor to redeem his or her estate is defeated or lost if he or she does not satisfy the default. Both mortgages and trust deeds are security devices. A mortgage is a two party instrument, made up of a mortgagee (lender) and mortgagor (borrower), while a trust deed is three party device comprised of a trustor (borrower), trustee, with the power of sale, and a beneficiary (lender). Either one may be used to hypothecate or pledge a given parcel of property as security for the repayment of a loan. The mortgagee or beneficiary has the option to handle the proceeding in or out of court. When handled in court it is referred to as judicial foreclosure – if handled by the execution of the power of sale contained in either the deed of trust or mortgage, the action is referred to as a statutory foreclosure and is without recourse to the courts. Since a judicial foreclosure is an equitable action, it must be heard in the superior court, thus it is a lengthy and expensive procedure. Accordingly, most foreclosure proceedings in California are statutory (Non-Judicial). Lien holders such as a lender or holder of a mechanic's lien are usually the ones that bring foreclosure actions. Lenders will start such a procedure if a borrower defaults on a note secured by real property or by a contractor for non-payment of a service performed on real property. Despite the fact that most foreclosures are initiated because of a borrower default, the action is considered as an action in rem, that is to say an action directed against the property, rather than a specific person. The foreclosure action seeks to terminate a person's interest in the property. In foreclosure by power of sale, as distinguished from judicial foreclosure, there is no right of redemption after the sale has been made, and all liens junior to the lien being foreclosed upon are extinguished. There is an exception: Making a sale under a power of sale is ineffective with respect to a federal tax lien filed more than 30 days before the sale, unless 25 days' written notice is given by in-person service or by registered or certified mail. In either event the government has 120 days after the sale to redeem the property. In a judicial foreclosure, the foreclosure is by sheriff's sale with the excess, if any, going to pay off junior lien holders in order of their priority. If any money is left over after paying off the lien holders, it goes to the mortgagor. At the sale, the mortgagee (lender) can bid the amount of the mortgage lien, while other bidders must bid cash. The mortgagor can stop the foreclosure at any time prior to the sale by paying past delinquencies plus costs and fees. Even if the note has an acceleration clause making the entire balance due if a payment is late, the mortgagor need only bring the payments current. Beneficiaries of a junior trust deed would want to know of any senior lien foreclosure to protect his or her own interests. By recording a Request For Notice, a junior lien holder must be notified of any Notice of Default by senior lien holders. The junior lien holder can stop any senior lien foreclosure by curing their default and starting his or her own foreclosure. A delay by the senior lien holder in foreclosing could result in a junior lien holder's having to cure a significant delinquency. By requesting a Notice of Delinquency ($40 fee) the senior lien holder is obliged to notify the junior when the trustor becomes more than four months late. The notice is good for five years and can be renewed every five years for a $15 fee. Beneficiary's Rights Upon default by the Trustor (borrower) in the payment of any indebtedness secured by the trust deed, or in the performance of any agreement under the terms of the trust deed, the beneficiary may direct the trustee to start the foreclosure proceedings. Trustee's Action Upon receipt of the beneficiary's declaration of default, the trustee prepares, executes and records a Notice of Default and Election To Sell Under The Deed of Trust. Trustor's Rights Within three months following the recording of the Notice of Default, trustors have the right to cure the default and reinstate the mortgage or trust deed. Civil Code Section 2924c permits certain defaults to be cured upon payment of the amounts required by that section, i.e., delinquent payments, late fees (if included in the agreement), advances made by the beneficiary to prior encumbrances, together with interest on such advances as provided in the deed of trust, legal fees, trustee's fees, etc. If the trustor cures the default the beneficiary is obliged to instruct the trustee to record a Notice of Rescission. This acknowledges that the default has been cured, compels the discontinuance of the sale proceedings, and restores the obligation and security of the trustor as if no default had occurred. If the default is not cured within three months following the recording of the Notice of Default, the sale date is published and the sale is set not less than 21 days after the publication date. If the default is not cured within the 21-day publication period, the trustee will sell the property at public auction to the highest bidder for cash, at the time and place stated in the Notice of Sale. Any person, including the trustor, trustee, or beneficiary, may purchase the property at such sale. Opening Bid The opening bid in a foreclosure sale is determined by the balance due on the lien being foreclosed upon together with interest, legal fees, advances and any other charges as described herein. If there are no other bidders at the sale, the beneficiary becomes the successful bidder and is given a Trustee's Deed by the trustee, which conveys title of the property to him or her. 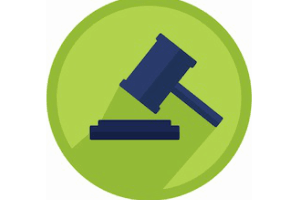 If the property is sold at auction for more than the opening bid, the trustee is charged with the responsibility, after deducting all costs, fees and expenses, to pay the remainder, if any, to the trustor or to the person or persons legally entitled to such monies. Beneficiary Bid At The Trustee's Sale It may be prudent for the foreclosing beneficiary to underbid at the foreclosure sale. Even though a foreclosure appraisal or broker's price opinion indicates a value sufficient to cover the indebtedness, these estimates are based on what the property is like on the outside. Inside conditions could be in such disarray as to effect its value. If the beneficiary acquires title to the collateral for the full amount of the opening bid, he or she accepts the collateral as payment in full for the debt. If in fact the subject property is not worth the amount of the indebtedness, an underbid will at least acknowledge a loss. Security Behind Trust Deed Investments Most financial experts agree that loans secured by well placed deeds of trust are among the most secure investments available. Foreclosure is the safety net provided to the trust deed investor, and should be used when it is the only means of satisfying the obligation owed by the trustor. In this way, if the trustor does not satisfy his or her obligation, the real estate will.